Incase you missed the memo, I’ve just returned from a vacation in Barbados. I haven’t been home (I was born in Barbados) for around 6.5 years and now I think I’m hooked again. It’s the perfect opportunity to see my extended family, friends, warm weather, good food, check out the beaches in Barbados and I get to be a 7 year old all over again (that’s when I left Barbados for the U.K and no real “adulting” at that age, eh?!). 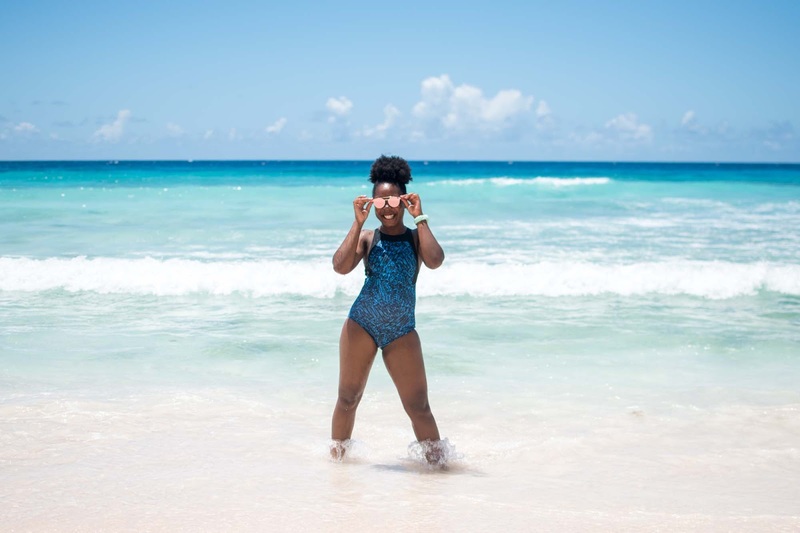 Just before I jetted away, I got the opportunity to pick out a few pieces of swimwear from Simply Swim to take along with me so I thought I would share what I chose with you for some inspiration. Because, if you’re anything like me, you probably need a little (inspo) to hit the water again… (it’s been a while for me!). 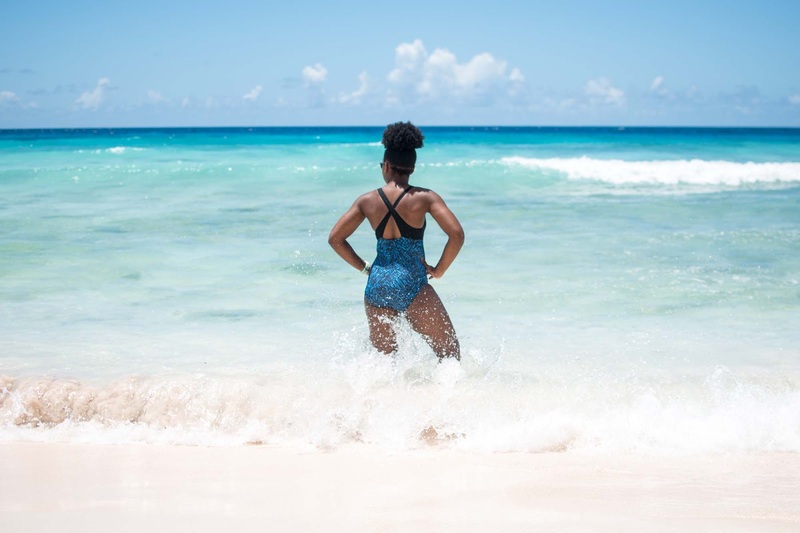 And I then get the chance to share a bit about beaches in Barbados with you in the form of some of my favourite must visit locations… win win?! Browns Beach gets the top spot (on this vacation) as it’s where I spent the most time. We were situated at The Boatyard (located just outside of Bridgetown, the capital) so we also had their facilities for food, drinks, bathrooms, showers etc. We pitched up on some sun loungers close to the sea so we could see our belongings while we were in the water. With two kids in tow it was perfect for swimming as the water was shallow for quite a way out. Some of the waves were big enough to take us by surprise though but this was probably the start of the effects of Hurricane Maria making its way through the Caribbean. The water is clear meaning you can spot fish swimming by your feet, and there are plenty of boats dotted around. They also had a trampoline out in the water and water slide but I didn’t get a chance to have a go on those with the kids (and tbh I probably wouldn’t have been brave enough anyway!). On one of my previous visits, myself and friends went on one of the boat tours so we could spot the turtles and enjoy a relaxing boat ride. This was one of three suits I picked out for my trip in a size 34″ which is supposedly a UK dress size 12 (I am a 10). I used my previous experience of swimsuit sizing and I’m glad I opted for the larger size. I think the 32″ would’ve fit but it just might have been a real squeeze. I loved that it was high coverage (with a high neckline and medium rise leg) and good job it had UPF 50+ protection cos I forgot to put on my suncream! You can find the whole Halocline range on Simply Swim here! I also got the Halocline Sleek Zip Back Swimsuit (Blueberry, 34″) and the TYR Crypsis Cutoutfit (in what looks to me like a tiger print, 36″). When I get around to taking some pictures in these I’ll be sure to share on Instagram or something. Now these two I don’t think I have been to (yet) but now I’ve discovered them I will certainly pay a visit on one of my next trips! If you missed my post about the Barbados Cycling Festival Sportive that I took part in you need to catch up! 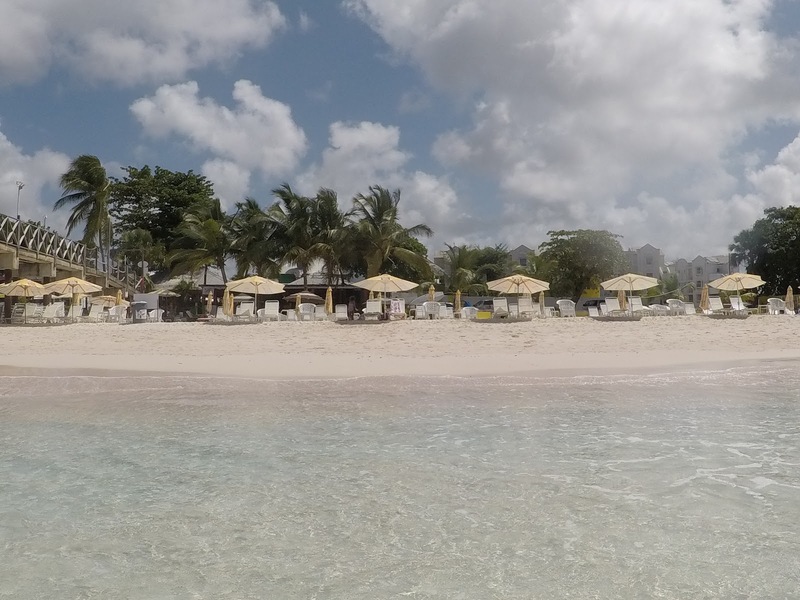 …meanwhile, I’ll be planning how and when I can make it back to Barbados again as soon as possible! 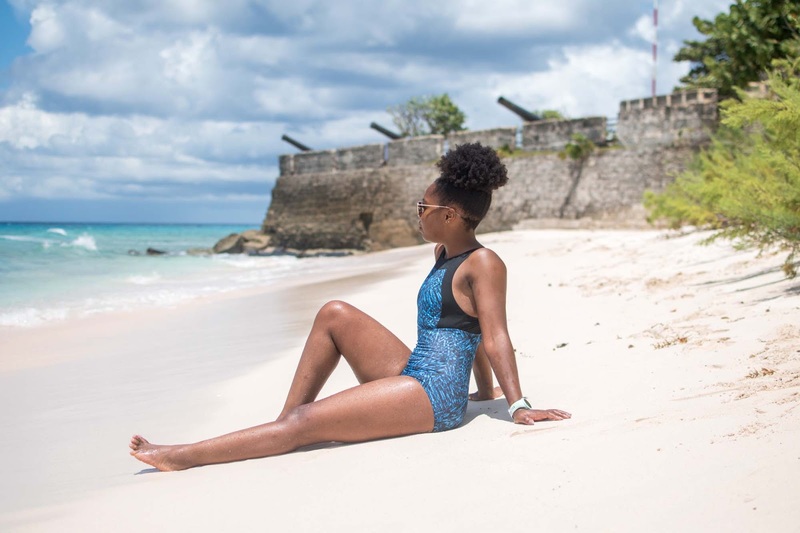 Have you been to Barbados before?! Previous Post GUEST POST: Exercise For The Body. Volunteering For The Soul. OMG your swimsuit is so cute – you look fantastic! I would LOVE to go to Barbados – looks like paradise! Thanks Jamie! …hope you get to visit Barbados one day! 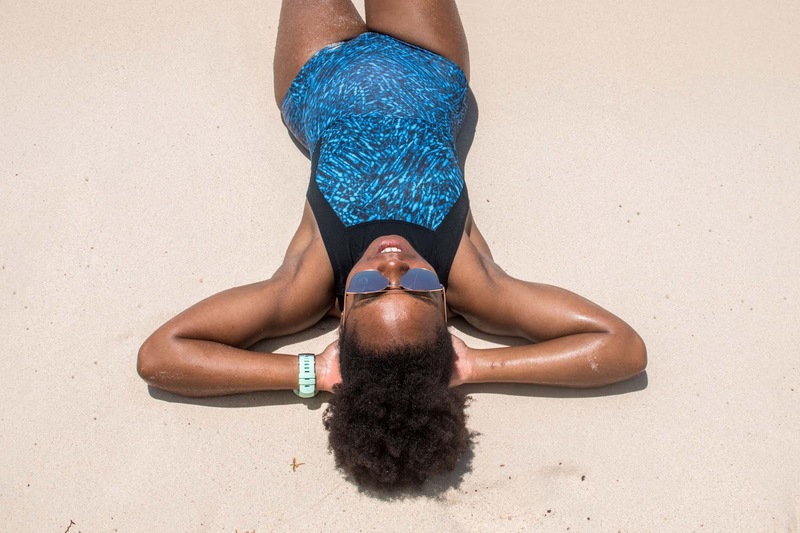 Those beaches tho… and that swimsuit is absolutely adorable on you! I love swimsuits like that that keep you covered so you can be active in the water and on the sand. Thanks Alyse! …and thanks so much for stopping by! I used to looooove TYR suits! So great for the active beach / pool goer! And I'm DYING to go to those beaches RIGHT NOW! Thanks for sharing the inside scoop! Ooooh thats good to hear! I've never had a TYR suit before! I am so living vicariously through your right now. Oh my gosh, this place looks heavenly. Also, that high neck swimsuit looks killer on you! GUEST POST: Exercise For The Body. Volunteering For The Soul.